I have been a Mac user for over 20 years. I was 5 when my parents brought home a Mac Classic. Eventually, a few years later, they traded out for a Power Mac, which, as my obsession into computers grew, so did that PowerMac, via upgrades to the CPU, Memory, various PCI cards to bring USB and FireWire to it, and of course, Mac OS upgrades. Though at the advent of Mac OS X, my parents & I pretty much stopped upgrading. All our programs were made for Mac OS 9. I remember poring through MacMall catalogs and dreaming of someday owning one of Apple's shiny, non-beige Mac OS X machines. That day came when I was preparing to leave for college in 2003. I purchased an eMac, which was sporting Mac OS X 10.2 Jaguar. That was probably a good time to make the leap from Classic Mac OS, as Jaguar was really the first truly stable version of OS X. Luckily, a couple months into my college career, OS X 10.3 was released, and I ordered on day one. Exposé seemed like a revolutionary new feature, and has been a feature I have used numerous times every day on each subsequent iteration of OS X. From that day on, I have promptly kept with the times as new versions of OS X were released. I simply don't like living in the past. When I made the jump from Mac OS 9.2 to OS X 10.2, it was a paradigm shift. There was a definitely learning curve, as there were some hints to the past, but many things required relearning a little bit. And as much as Exposé blew my mind, Apple kept adding new features with each iteration, polishing OS X a little bit more. Things like Dashboard & Spotlight in 10.4 Tiger, and Spaces & QuickLook in 10.5 Leopard. 10.6 Snow Leopard was a bit of a conundrum. It was truly a polish of OS X, as it had virtually nothing in the way of new features. It simply refined the existing features, and carved away some cruft in the underpinnings of what makes OS X tick. It made a great system even better. And hear we are, in 2011, with OS X Lion. At a first glance of a computer running Snow Leopard and another running Lion, with just the desktop being shown, you probably wouldn't be able to tell the difference. But start using it, and you will find that Apple has changed the game again. Yes, Lion is still OS X, but something new and amazing has happened to it — another paradigm shift has occurred. 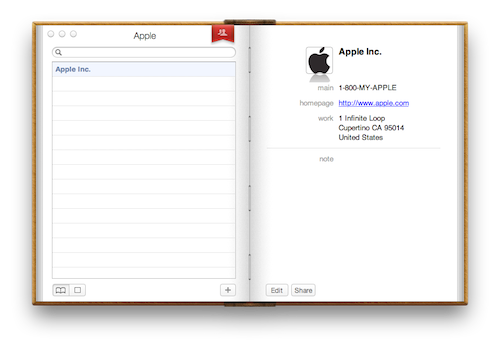 When Apple first showed off Lion in October 2010, the theme was "Back to the Mac". What Apple meant by that is they were taking many of the fantastic concepts of iOS — the iPad, especially — and bringing them back to the Mac. OS X Lion is the culmination of those efforts, and simplification is the main driver of the paradigm shift that has just happened in the world of desktop computing. The most obvious way to kick off simplification in Lion is with how you purchase it and install it. With previous versions of OS X, you either had to have a disc shipped to you, or go to a store. Then you had to put a disc in your computer, a disk you may never look at again, and run an installer. Lion foregoes the plastic disc altogether. Snow Leopard users simply purchase Lion on the Mac App Store, and it downloads directly to your computer. It is a hefty download at 3.7GB. It took about a half hour via cable internet for me. After it downloads, you simply run the installer, and about another half hour later OS X will have undergone a serious upgrade in almost every way. Apple has also simplified all but the most catastrophic forms of troubleshooting your Mac. Instead of having to keep a disc around, all your recovery tools are stored on a recovery partition that the installer created during the upgrade. If your hard drive dies, then things aren't as convenient, but that deserves a post all on its own. One more simplification of Lion being distributed on the Mac App Store is its licensing terms. It used to be that you had to buy either a single license or a most expensive family pack, even though the discs were the same (Apple generally operates off the honesty model). With Lion, the App Store rules apply, and those state that you can install Lion, or any apps your purchase on the App Store, on all the computers you own. When I think of the average person using a computer, I tend to establish my baseline as that person being my mother-in-law, Gayle. Gayle is the sweetest person you'll ever meet, hands down (truly, I'm blessed to say that I have a wonderful relationship with my mother-in-law). She travels a lot to see her five kids, and she never really learned computers. That isn't to say that she doesn't try; she absolutely desires to learn how to use her MacBook Pro. But being a person who grew up on typewriters, and then occasionally used a Windows PC only for Word and email, she never truly grasped the basics of how a computer works. And that's understandable, as computers are pretty fussy, fickle things. One of the biggest hurdles I have had explaining to Gayle since she switched to the Mac last year is how the Finder is the end-all, be-all repository for everything on her MacBook Pro. Honestly, if an app isn't in her Dock, she forgets how to find it. That's where Launchpad comes in. Launchpad is the saving grace for Gayle and finding her apps. Click one icon her Dock, and all her apps are visible, just in the same way they are on her iPod touch. She can even group them into the same style of folders, just like on her iPod. The nerds may balk at Launchpad as a dumbing down of the computer, but I think Launchpad is huge for the non-nerds of the world. Computers should be simplified and approachable. Another obfuscation of the Finder is Auto Save & Versions. I wish this were in OS X when I was in college, as I remember losing a numerous hours of work on papers that I forgot to save as I wrote when the app crashed. Just like on iOS, you don't need to worry about a save button. Every time there is a pause in your work, or every 5 minutes, whichever comes first, OS X will automatically save your work. And not only does it save automatically, but it makes a version of your document, so if you want to go back and recover a paragraph you edited out an hour ago, you can browse back in a Time Machine-like manner through your revisions. One more thing that isn't new to Lion, but worth mentioning in this section is the Mac App Store. One of the most difficult things I have ever had to explain to a novice Mac user is what in the world a disk image is. Installing apps before the Mac App Store was not the easiest thing in the world if you didn't know the right procedure. I can't tell you how many times I've seen someone launch an app from their Dock, only to see a disk image load first because they never copied the app to the Applications folder. The Mac App Store takes all that hassle away by providing a one click purchase, and then the computer handles the mundane task of downloading the app and moving it to the proper place. Heck, the Mac App Store even handles updating the app. The best way I can think of to sum up the obfuscation of the file system as a good thing is that there are a lot of complex things that we simply shouldn't have to care about — tedious and mundane things that computers should have been able to manage for a long time, but simply weren't required to. The time has come for our computers to become more approachable. Another way Apple has simplified OS X is by consolidating some features. As I mentioned earlier, several major features have been introduced over OS X's iterations — Exposé in Panther, Dashboard in Tiger, and Spaces in Leopard. In Snow Leopard, Apple refined Exposé a bit, bringing better organization. In Lion, Apple took all three of those features and rolled them into one new design, called Mission Control. Mission control gives a bird's eye view of all the open windows on your desktop — even grouping them by app — and displays Dashboard and all your Spaces and full-screen apps along the top, along with easy access to the Dock. So far, I really am loving Mission Control. As a person who used Exposé so often to switch contexts in my workflow, I think Mission Control is a fantastic next step. One thing I love about iOS is how you interact with apps. You simply touch the screen and move the interface to scroll. Well, Apple has made it clear that OS X is not going to get a touchscreen any time soon, and that they believe the best way to interact these days with the Mac is through a multi-touch trackpad. Now, I know some of you may have a Magic Mouse which is, technically, multi-touch capable and supported in Lion. But trust me, Lion was designed around the trackpad on the MacBooks and the Magic Trackpad. If you're using the Magic Mouse, or a third-party mouse, why don't you go treat yourself to a Magic Trackpad for the full Lion experience? One of the modifications to the way users interact with OS X in Lion is that Apple has reversed the scrolling direction. This was done to be a bit more iPad-like. The best way I found to adjust to the reversed scrolling (or natural scrolling, as Apple calls it) is to imagine that you are directly touching the interface through the trackpad, just like touching the screen on an iOS device. It took about 6 hours of using my Mac with the new natural scrolling before my brain rewired and adapted. A few days in, and I don't even think twice about it. It really does feel natural. I should note that you can change the scrolling behavior back to the old way via a simple toggle in System Preferences. That said, give natural scrolling a good week of use before you make up your mind. It really does feel right once you adjust. If you don't adjust after a week, then by all means, throw that switch. I think there is another reason why Apple changed the way we scroll in Lion beyond just being more iPad-like. See, another influence from iOS that Lion now sports are minimal scrollbars that fade away when they aren't needed. In the past, scroll bars were always visible, and before our mice had scroll wheels, we clicked on the scroll bar and dragged it down. Later, we used the scroll wheel on a mouse as a level of abstraction to still move that bar downward. Apple has simply shifted our focus off the scroll bar, and directly onto the content. Now, with natural scrolling, we're moving content, not a scroll bar. Lion also revamps multi-touch gestures, mainly adding the ability to swipe between spaces. But there are a few other gems added, such as double-tapping (not clicking) with two fingers in Safari will auto zoom on content, just like in Safari on iOS. You can also use the pinch gesture to fine-tune that zoom control. Double-tap with three fingers on a word in just about any app will invoke a popover with dictionary, thesaurus, and Wikipedia entries. Now this feature almost sounds ridiculous at first blush. I mean, Windows has maximized apps to fill the screen for what feels like eternity. To be honest, maximized windows are one of the reasons I loathe Windows. They hide everything else behind them, and switching between them can sometimes be burdensome. Apple has taken a different approach. Full-screen apps are not maximized windows. Apple's approach ties full-screen apps with Spaces, giving every full-screen app its own space. Since all spaces exist in a horizontal plane which can be swiped through, or seen easily via Mission Control, moving between them is fairly easy. Apple gives developers a way to easily implement full-screen capability in their apps, which more or less works well. But the real joy of the full-screen experience is when an app takes advantage of the extra space by transforming its interface into something more usable or fun. iPhoto takes the cake in the usable department, giving you an interface filled with just the tools you need to focus on working on photos. Photo Booth, on the other hand, becomes even more fun as its standard OS X chrome transforms into curtains and switches and panels. I have found a lot of utility from full-screen apps already. I used to use Spaces on Leopard and Snow Leopard to segregate apps that needed a lot of screen real estate, like iTunes and iCal. Now I am finding that I only need one true desktop (though I could create more in Mission Control if needed) and I toss apps like Safari, Mail, iTunes, iCal and Byword into their own full-screen space. I couldn't be more pleased. I do feel, however, that full-screen apps is meant for a notebook computer experience, and not so much for the 27-inch iMac or Thunderbolt Display experience. But, I also don't think is a mistake. I'm fairly confident that Apple 11- and 13-inch MacBook Air will reign supreme as the company's best selling Mac for the foreseeable future. With all the big, showcased features of OS X Lion, there seem to be so many little things that really bring out the awesome. For instance, a Mac can now be restarted with a bunch of apps open, and when you log back in, they all will still be open, even down to any text you may have highlighted. That's simply one of those "why hasn't it always worked like that?" features. Another is AirDrop, which allows seamless file transfer to another Mac nearby you. At the beginning of the year, I switched my church from PC to Mac, and AirDrop will be great for sending files around the office that are too large to feasibly do through Dropbox. QuickLook is now available in Stacks, and from Spotlight, which is incredibly handy. Resizing of app windows can be done from any edge or corner now, instead of just the lower-right corner. Mail has an all new interface inspired by the iPad, and I simply love it. It also sports a conversation view that really helps with keeping context in lengthy back-and-forths. Data detection also goes beyond contact information and calendar events. Hover your cursor over a link, and click the QuickLook triangle that appears next to it to get a peek at the site without having to hop into Safari. This is a great tool for investigating a link you aren't entirely sure about, as QuickLook is incapable of accepting any downloads. At least with iCal, it just looks bad. It's still functional. But Address Book looks bad and has lost much of its ease of use. To view groups, you have to click the red bookmark and a page flips. I highly doubt many normal folks will appreciate the change, let alone nerds. In the end, though, if I have found only two things that truly rub me the wrong way after a number of days, that's not terrible. I imagine if enough people agree with me, we'll see a toggle to make those apps look a little more standard by 10.7.1. Lion has some great headline features that are not only impressive, but define — and sometimes redefine — how we should approach our computers. Even more than the headliners, Lion is a beast made great by the sum of many little refinements. I've noticed very few things untouched by Apple's engineers. There are so many I couldn't hope to go through all of them here. For $29, I don't see why you shouldn't upgrade. This is the best version of OS X yet, and I think you'll appreciate the exhaustive attention to detail that Apple has given to it and to you.